How Does Angel Investing Differ from Venture Capital? Angel investment and venture capital are each critical to a high-growth startup’s funding strategy. While there are similarities and some overlap between the two, angels and VCs may invest differently based on their investment goals, the stage of company they invest in, and the volume of capital they have to invest. Angels activity is often during earlier stages. Angels are accredited investors, wealthy people who invest their own money in entrepreneurial companies. Angels may invest as individuals, as members of an angel group, or through an angel fund. Recent reports estimate that angels invest more than $24 billion annually supporting more than 64,000 startups. Almost 60 percent of angel activity is in pre-seed and seed investments. VCs represent venture capital funds of investment dollars from sources that include high-wealth individuals, corporations, pension funds, or public entities. An investment manager manages the venture capital fund. VCs are active across most of the startup lifecycle but spend about 70 percent of their time in post-seed deals. In terms of dollars invested in pre-seed and seed businesses, participation by angels and VCs is more similar, at 30 percent and 35 percent respectively. This is due to the sheer volume of VC’s participation across the entire startup life cycle. 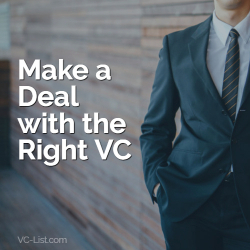 VCs are involved in 85 percent of A through C deals. As startups grow, angel participation in later stage deals declines somewhat, while VC participation increases significantly. Angels are often the first equity investors in a company. The average reported angel deal size in 2017 was around $637,000. Syndication is common across angel groups to create rounds with enough capital to meet the needs of early stage companies. When venture capital funds invest in seed stage companies, those rounds are typically larger than angel-only rounds. Last year, two-thirds of venture capital-funded seed rounds were between $1 and $5 million. It is not unusual to see venture capitalists and angel investors syndicate on larger seed round deals or on follow-on investment rounds, particularly in regions of the country where venture capital is less plentiful. Most angels take a hands-on approach to de-risking companies. Angels understand entrepreneurs and what it takes to start a company because many of them (more than half according to The American Angel Report, the largest ever study of angels) were founders or CEOs of their own startups. From due diligence to board participation, angels like to get involved. Many cashed out entrepreneurs see angel investing as a way to continue to participate in the startup world and give back to the community. About 60 percent of angels with an entrepreneurial background accept an advisory role and more than half take a board seat. Seed stage startups and their lean founding teams benefit from angels’ operational and functional expertise. With extensive industry connections, angels also help startups reach potential business partners, potential customers, technical resources, and more. This isn’t to say that VCs don’t also share expertise and connections with their portfolio companies. Their advice and contacts are invaluable. However, VC involvement may be more structured and conducted through board of director activities. Angels tend to invest close to home and are more diverse. Most angels typically invest in regions where they live and in industries they know; there are active angel groups in virtually every state. While 20 percent of angel deals also take place California, nearly two-thirds of angels responding to the American Angel Report don’t live in the big three (Boston, San Francisco, and New York). Excluding California and New York, angel-backed deals represent from 60 to 80 percent of the funded deals in the other regions of the country. That’s not a surprise, as the majority of VC activity is concentrated on the Coasts. Angel investors pursue deal flow via angel groups, individual angels, friends, associates, and from direct engagement with entrepreneurs. When it comes to industry sectors, software leads the list considering 51 percent of angel investors reporting through the Halo Report have a background in technology. More recently, consumer products and services sector deals have moved into second place. While venture capital continues to be heavily male dominated, about 22 percent of reported angels and 30 percent of new angels are women. Twenty percent of all angel deals reported in the Halo Report went to a founding team with a female founder. Last year, 90 percent of venture capital went to men. What does this mean for an entrepreneur? Neither angels or VCs are typically a fit for all stages of a company’s growth. It’s important to determine which angel and angel groups are viable options, and which VCs are the right VCs, if any, to work with, based on the startup’s stage of growth. An earlier stage company should consider angels for funding, as well any VCs specifically focused on early stage opportunities. A later stage company will typically rely less on angels as a funding option, seeking out instead VCs who primarily work with later-stage or breakeven and revenue-generating companies. Building relationships with a diverse array of investors can lead to the right funding opportunities at the right time. An entrepreneur who understands the differences between angels and VCs, can build a realistic capital strategy. Before you begin to approach potential investors, make the process more efficient and successful. Create a unified capital plan that matches the source of investment with miles to be funded. Angels and VCs will invest in high potential businesses that match their investment goals. Your company will not be the exception to the rule. Many angels invest pre-revenue. Most VCs will not, unless their focus is on early stage companies. Use every regional connection you have to build relationships with angel investors and VCs well before you begin to raise funds. Since both angels and VCs tend to invest close to home, start local and then branch out regionally. Seed stage startups and their lean founding teams benefit from angels’ operational and functional expertise. With extensive industry connections, angels also help startups reach potential business partners, potential customers, technical resources, and more. The increasing inclusion and gender diversity of angel groups and diversity focus by the National Venture Capital Association (NVCA) and VC groups is improving access to capital for women entrepreneurs. Diversified companies achieve better results, so it’s no surprise that women angels say that founder’s gender is highly important. There are numerous angel groups, including Golden Seeds which invests nationally, that only invest in women-led companies. There are also VC funds focused on female or diverse entrepreneurs. While angel investors and venture capitalists share the common goal of achieving above average returns, they invest and operate differently. An entrepreneur who understands the differences, can build a realistic capital strategy and plan that matches the right source of capital to the appropriate milestones and stage of the business. Note: These two reports, referenced in this article, are excellent sources of information about angels and how they invest: The American Angel and 2017 Halo Report. Inclusive Entrepreneurship: Growing the Startup Economy through the Power of Inclusive Entrepreneurship discusses the opportunities for angels and VCs to accelerate startup success though inclusion and diversity. 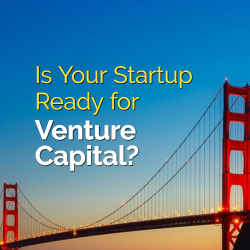 Is Your Startup Ready for Venture Capital? Ask virtually any group of entrepreneurs, and you’ll hear that raising venture capital feels like an endless, fulltime job. From a VC’s perspective, that’s often because an entrepreneur isn’t as strategic about fundraising as they could be. Savvy entrepreneurs understand investment from the VC’s perspective. They map capital requirements to the milestones of the business and prioritize trust and two-way working relationships. Here are some ideas entrepreneurs can use to better prepare themselves and their companies to compete for venture capital. Before the first conversation with any VC, study the venture capitalists in your region. A VC’s website tells the basics—the VC’s target industries and stage of companies. The venture fund’s previous investments tells more. Search out press releases. Does the VC syndicate? If so, with whom? Find a way to meet and network with founders and teams from the VC’s portfolio companies. Be curious. Ask those entrepreneurs what they’ve learned about the VC and what their post-funding experience has been like. Will the fund invest in pre-revenue businesses or take a chance on a first-time entrepreneur? What’s their track record on exits? Is the VC adding value beyond capital? Perform a rigorous self-assessment—think of it as third-party due diligence on yourself. Have you prepared for the VCs you want to attract? Is your market validation based on direct engagement with companies? Can you demonstrate a minimally viable product and introduce potential investors to alpha customers? Do your financials show solid cash management? Do you exude confidence that you own the fundamentals of the business you are launching? What’s the talent situation; which key hires have you chosen to add? Offer references—people who can attest to the credibility to your deal and to your capability and character. Have you built an advisory board with relevant connections and functional expertise to help fill in the gaps? Describe your IP strategy. Is the company’s intellectual property protected by patents, licensing agreements, or copyrights? Share any recognition that your business received in the press, at trade shows, or in industry publications. In addition to sweat equity, have you put your own money into the company? In general, a VC will want to know why she should in invest in you when you. So, your self-assessment can help prepare for the right audience. It’s a marriage, not a date. From the first meeting, into due diligence, and through the negotiations of valuation and deal terms, every conversation or meeting with an investor is an opportunity to assess whether your personalities and values mesh. Investors will be evaluating the entrepreneur’s integrity and character in addition to the business opportunity; wise entrepreneurs will assess potential investors, too. Whether on the board or in advisory capacity, VCs who invest become a de facto part of the company team. It takes years to exit. Think of your relationship with investors as dancing lessons for life. The business considerations between investor and entrepreneur are never trivial and almost always tough. Personalities matter. Passive, active, etc. Decide what’s best for your style and personality. There will be issues. Every company, no matter how successful, will face bumps in the road. What are the best personalities to help augment your style? Investors influence who gets hired, how and how much founders and key employees get paid, and the valuation and dilution of follow-on rounds. Ultimately, they may even choose the CEO. These are challenging topics in the best case scenario; most of the time, the entrepreneur will be the one giving something up. The more shared values and trust between the company founder and the investors, the better the process will go. The point is not that entrepreneur and investor will agree on everything, or that the decisions will be comfortable. But the two of you, and as the company grows the group, need to be able to brainstorm, to talk candidly, to debate, and especially to agree to disagree. Most importantly, as the founder and CEO of the company, the entrepreneur must feel that investors are listening and considering the company’s point of view. The better the relationship between entrepreneur and investors, the easier the work of scaling the company goes. Deal negotiations are the time to set the foundation for the relationship. If the investor and entrepreneur haven’t developed at least a beginning level of trust during due diligence, it’s best to rethink the investment and the relationship. Remember, it’s a long-term relationship. Even though we have seen a significant increase in seed funding from VCs over the last handful of years, here in the Midwest and in other regions in the land between the Coasts, competition for venture capital is keen. If you have set your sights on a fund that isn’t a fit, keep networking until you identify a fund that matches you and your goals. Just because there’s a fund in your zip code, doesn’t mean that fund is a fit for you. It’s a great day for any entrepreneur when his or her company is finally ready to take an investment from a venture capitalist. However, some entrepreneurs get so excited about the prospect of receiving capital that they don’t take the time to properly vet the venture capitalists with whom they’re forming a partnership. Having capital to move forward is terrific, but it’s not terrific if it’s with the wrong partner. It can lead to a multitude of problems down the line. An agreement between an entrepreneur and a venture capital firm is like a short-term marriage. 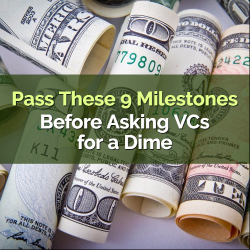 A relationship with a VC frequently lasts 7 to 10 years and capital is only one aspect of relationship. All venture capitalists have capital, so somehow it’s the least important part of the equation—it’s what else the VC can bring to the table. Here are some things entrepreneurs should be looking for in a reputable VC. Having expertise is key. The right VC should have ideas about how you will create value at your company. They should also be able to connect you with a robust network that helps push your company forward through customer acquisition, talent recruiting, marketing, technology, and relationships that will save the company money. If they aren’t able to articulate how they will connect you with people who will help you drive value that’s a major red flag. It’s also a red flag if they aren’t talking to you about their ideas and sharing their experience on how to scale the company. Has the VC invested in similar companies? What is the experience of those companies’ founders with the VC? Conversely, reputable VCs should be drilling entrepreneurs on what the market landscape is for the company, the company’s projections, costs, margins and plans for expansion. If the VC is not asking these questions, it should raise a red flag. While it’s important for an entrepreneur to vet a VC before entering into an agreement, it’s equally important for the entrepreneur to be ready to answer some tough questions. Reputable VCs will perform due diligence on the company and, if things don’t add up, they will pass on investment. A lot of deals fall apart because the entrepreneur doesn’t have a realistic idea of the company’s value. It is best if the entrepreneur has a realistic idea of the company’s worth, and its revenue projections and cash burn rate. If you have good projections, you will have a better idea of what you need to do to get your company to sustainable growth and profitability. Be realistic and don’t lie. Reputable VCs will see through inconsistencies. If a VC doesn’t challenge your business case and projections, it’s a red flag. Waiting until a company is six months away from running out of cash is not the time to be looking for capital. It’s never good to negotiate a deal under pressure, but unfortunately it happens frequently. Rushing to make a deal often leads to bad decisions. Entrepreneurs also have to think long-term. As companies go for additional rounds of funding, they will have more venture capitalists sitting on their board of directors. It never works well when you have multiple venture capitalists with different visions sitting on the same board. When taking that very first round of financing, and for each subsequent round, it’s important for the entrepreneur to think about who the future board members will be and how they will act as board members. You want to be sure everyone’s ideas align so your company can move forward in a positive direction. According to the Small Business Administration (SBA), there’s a 50% chance your business will fail in the first five years. But what can entrepreneurs do to maximize the chances that their businesses will succeed? Arthur Blank and his partner Bernie Marcus wrote a detailed business plan, and researched the market place for nearly two years before they launched Home Depot. Jennifer Hyman from Rent the Runway conducted market research and proof of concept testing long before she went to investors for funding. All of these activities raised the odds that these companies would make it past five years and inspired investor confidence. 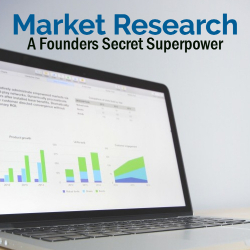 As a serial research technology entrepreneur myself I can personally attest to the power of market research as a success strategy. Not only does research serve to ensure you have a robust business plan, it also validates your go to market positioning and strategy for potential investors. Market research can serve you in your quest for funding regardless of where you are in your entrepreneurial journey but for the purposes of this article we’ll focus on market research practices that best support preparing for Seed or Series A funding. Pre-seed research activities can include market sizing, proof of concept/concept testing and positioning research – all of which serve to gauge market opportunity and demand. Consumer sentiment and opinion research can ensure that startups launch products and services that land with their core target audience, enabling you to hone in on market fit versus spending the first 18+ months of a business’s inception chasing various scenarios. The challenge however is that bootstrapped startups generally don’t have internal insights departments or the expertise to run primary research surveys. For time and cash strapped founders (which, let’s face it, is nearly ALL founders! ), look online for free market sizing reports and check out free or low cost platforms like SurveyMonkey and Zappistore. For a fraction of the cost of traditional market research Zappistore provides a marketplace of turnkey research solutions like concept or claims testing and ad testing that can help you greenlight the right ideas. Your seed round is just that….you’re planting an idea and your seed round is designed to raise funds that will allow you to nurture your idea to grow. Seed funding is specifically designed to give you the capital to conduct market research and development work. This work will determine what your product actually IS and, most importantly, who will buy it. Research methods like Awareness & Usage (A&U) studies or Segmentation research can help you identify key market trends and behaviors and target the consumers most likely to buy. For instance, Humm Kombucha, the fastest growing kombucha company in the US today, funded their seed round through a “friends and family” investment and had limited budget to spend on marketing and research. Through a combination of market research methods using shopper insights firm Alter Agents, Humm was able to hone in on consumer behaviors in the fast growing alternative beverage marketplace. Then they optimized their marketing spend to focus on key customer segments that could deliver the greatest ROI. Series A is all about optimization. You’ve got a track record from your Seed round and now you’re looking to optimize your product and consumer base. The research conducted leading up to or following your A round is designed to maximize how you’ll monetize a business that generates long term profit. Bree McKeen, Founder and CEO of tech apparel company, Evelyn & Bobbie, utilizes both qualitative and quantitative research heavily to holistically innovate design, manufacturing and distribution and product. Research to support your A-series funding and subsequent growth strategy can include A&U, Segmentation, Packaging and/or Pricing Testing as well as the use of syndicated data sources like Nielsen consumer panel or IRI data to monitor growth (and competitor growth!). How important is market research to investors? As I mentioned earlier, you don’t need big budgets to gather data that will inform your business strategy. Look online for articles or free trends reports from firms like Forrester, McKinsey or Gartner, which may include market sizing or other data relevant to your business vertical. Need to conduct primary research? Again, platforms like Survey Monkey and Zappistore offer free or low cost solutions. You can also use marketplaces like Savio to connect with professional research freelancers or visit Collaborata to find syndicated research sharing services. Have some money to invest in a more robust research approach? Look for Insights Association or ESOMAR accredited market research firms that have experience working with, and can address the unique needs of, early stage firms. Regardless of where you are in your funding journey, market research can play an instrumental role in inspiring investor confidence and guiding you through long term business growth. Years ago, we invested in a startup that looked like it was on the verge of exponential growth. The year before, its user base grew from 100,000 consumers to well over 2.5 million. It checked all the boxes for growth, team and product. However, we had miscalculated one risk. We didn’t know how committed users were. As soon as the monetization switch was flipped on, users were turned off, leaving quicker than they came. It’s important to mention this because it’s a story that doesn’t get much press. But every VC has a history. If they don’t adapt their criteria and learn from it, they won’t make it. Over more than a decade of investing (and two boom/bust cycles), we have developed 9 milestones that companies must address before we’d consider investing. Here they are. To attract VC’s, your startup must have the potential to become at least a billion-dollar company. That may seem extreme, but keep in mind that for every ten companies we invest in, we expect five will fail, three will break even or generate modest returns and two will be home runs that have the potential to generate returns for the entire fund. This means that your target market and industry need to be large enough. If you have a niche target market or are in an industry that’s still developing, you will need a clear plan and projections showing investors how your business will grow. Growth matters. VC’s are looking for exponential growth, although that may vary depending on your product, industry, and target market. For example, an early stage SaaS company between $1 million to $5 million of revenue should have annual growth rates above 100%. This may seem daunting, but look at Slack’s early growth (https://techcrunch.com/2016/04/01/rocketship-emoji/). Slack is an exceptional success story, but remember that all investors are searching for the holy grail. Buzz alone is worthless, but when paired with growth, it can set you apart from other startups. When customers can’t stop sharing your app with their entire online network and family, and user growth is coming more from word of mouth more than your marketing efforts, this is a signal that you’ve reached product/market fit. It’s a good idea to measure your net promoter score and how it evolves over time. Your user growth numbers show investors that people are finding and downloading your app. But what happens when they get there? How often is someone visiting your app or using your service? High engagement means that you’re not only attracting people, but that you’re providing so much value they can’t stop using it. This also signals a lower long-term churn rate, making growth easier. Your product needs to solve a problem, not just be a “nice to have.” When you have a true painkiller of a product, your customer’s lives will change for the worse if they stop using it – even if for a substitute. Earning revenue in the early stages of your tech startup is not required for a company raising for their seed round, but it’s extremely attractive. If you have yet to monetize, investors want to see you working with pilot customers, testing out future monetization plans. The more you can do to prove your business model and begin to bring in revenue, the better your chances of attracting investors. When it comes down to it, you must have trustworthy and influential leaders. Since we are always closely managing our risk, knowing an entrepreneur is tenacious enough to overcome the inevitable trough of sorrow will make a difference. You can’t build a billion-dollar business by yourself. Nothing demonstrates leadership more than convincing other top talent to follow you. Highlight your star teammates and how they are the right group of people to grow the company. Toughness and perseverance shouldn’t be confused with an overinflated ego. The first two are necessary for a startup founder; an ego isn’t. An ego causes young entrepreneurs to lose sight of some of the simple, yet important, parts of their business and is a big red flag that will keep investors away. If you check these nine boxes, you’re ready to talk to institutional VCs. If not, keep building – if you’re idea is on the right track, you’ll get there soon enough. Editorial (op/ed) commentary are the author's personal opinions only, and not necessarily those of other VC-List and VC-Directory columnists or this publication. The owners and authors of VC-List and VC-Directory accepts no liability for the views expressed in article in the site. You are advised to take detailed legal advice about your specific situation.